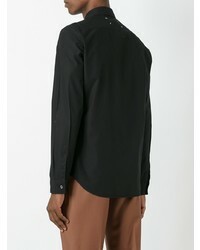 Consider wearing a Maison Margiela classic shirt and black dress pants for a sharp, fashionable look. So as you can see, outfiting on-trend doesn't require that much effort. 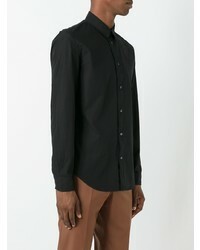 Just consider pairing a Maison Margiela classic shirt from farfetch.com with black jeans and you'll look amazing. 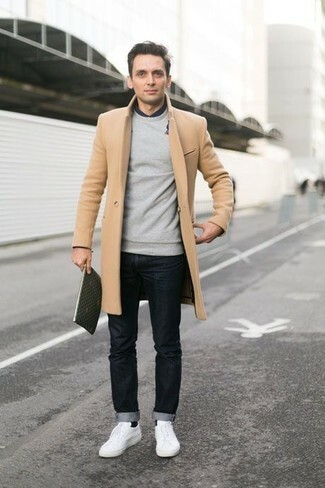 Take your ensemble into a more casual direction with white low top sneakers. 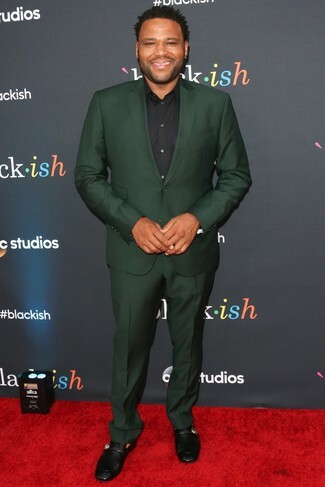 Pairing a black dress shirt and a dark green suit will create a powerful and confident silhouette. 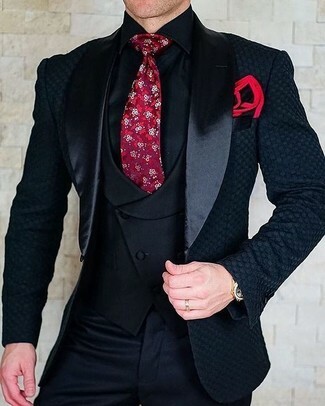 For something more on the daring side to finish off this ensemble, throw in a pair of black leather loafers. 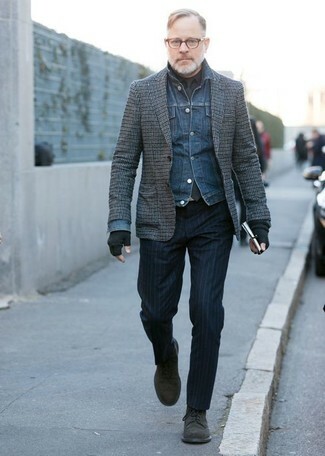 Team a Maison Margiela Classic Shirt with a navy gingham suit like a true gent. 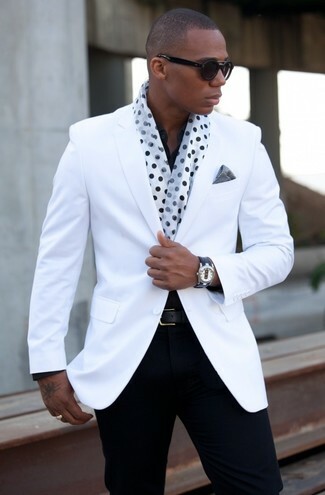 For something more on the daring side to complete this look, go for a pair of white leather low top sneakers. 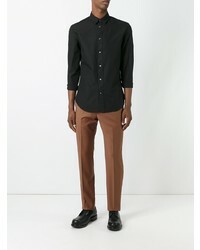 This pairing of a Maison Margiela Classic Shirt from farfetch.com and black chinos will add effortlessly classic essence to your getup. 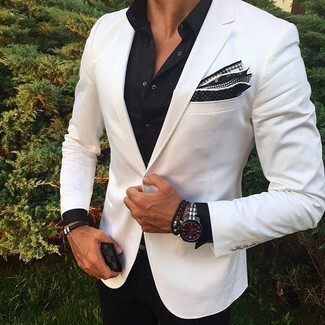 For a nothing less than incredibly stylish ensemble, dress in a black dress shirt and black dress pants. 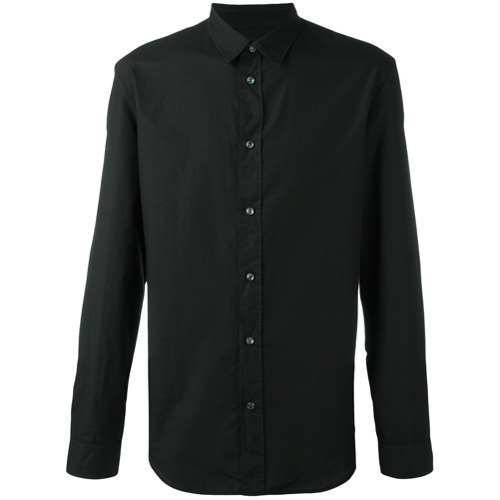 Teaming a Maison Margiela Classic Shirt from farfetch.com and a navy suit is a surefire way to infuse your wardrobe with some rugged elegance. Black leather derby shoes will add a hint of stylish effortlessness to an otherwise mostly classic ensemble. 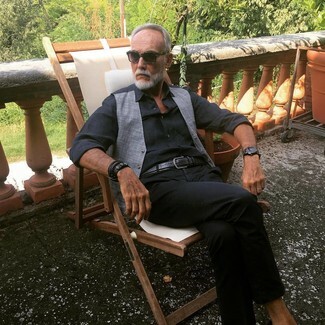 For a nothing less than incredibly stylish getup, marry a Maison Margiela classic shirt with navy vertical striped dress pants. 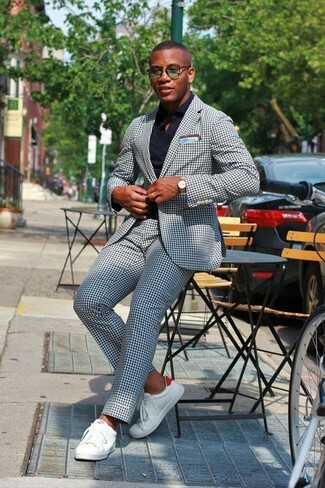 For something more on the daring side to round off this ensemble, choose a pair of black suede derby shoes. For a casually elegant getup, reach for a black dress shirt and black chinos — these two pieces go nicely together.